Four Seasons Hotel has parking. Serving the Georgetown neighborhood for nearly two decades Taj of India brings classic, inspired Indian cuisine to Washington. Located on the coveted M St. NW, Taj boasts three private dining rooms for any occasion, from wedding receptions to corporate functions. Choose Taj to host your next event! Welcome to Taj of India, offering superb Indian cuisine. Experience our chef's special Dumpakht dishes: Chicken, Lamb, Seafood and Vegetarian! Sun-dried grilled lentil wafer with a hint of black pepper. Served with homemade green coriander, chutney and onion chutney. A colorful assortment of fresh garden vegetables combined with mixed greens and served with our zesty house dressing. Served with homemade green coriander, chutney and onion chutney. Indian pastries stuffed with lightly spiced ground beef and other vegetables. Served with homemade green coriander, chutney and onion chutney. Indian pastries stuffed with lightly spiced ground beef and green peas. Served with homemade green coriander, chutney and onion chutney. Assorted fresh vegetable lightly spiced and dipped in a gamam flour and deep fried. Served with homemade green coriander, chutney and onion chutney. Delicately spiced juliennes of butter fried chicken with chickpeas flour. Served with homemade green coriander, chutney and onion chutney. Exotic tandoori kabab of paneer-Indian style cheese marinated in yogurt and spices. Served with homemade green coriander, chutney and onion chutney. Flour crisps with diced potato served with yogurt, sweet sour and coriander chutney. Served with homemade green coriander, chutney and onion chutney. Fried chickpeas served with light, fluffy poori bread. Served with homemade green coriander, chutney and onion chutney. Chicken breast marinated in yogurt, herbs and spices with pistachio nuts and grilled in a clay oven. Served with homemade green coriander, chutney and onion chutney. A fine combination of bhajee, vegetable samosa, chicken kabab and seekh kabab. Served with homemade green coriander, chutney and onion chutney. A variety of Indian barbecue chicken tikka, lamb tikka and seekh kabab. Served with homemade green coriander, chutney and onion chutney. Vegetarian lentil soup delicately spiced with fresh cilantro. Sumptuous vegetarian soup made with fresh tomato, cumin, black pepper and cilantro. Skewered cubes of chicken breast marinated in yogurt, herbs and spices and baked in the clay oven. Served with saffron basmati rice. Boneless cubes of chicken breast marinated in yogurt, herbs and spices and grilled in the clay oven. Served with saffron basmati rice. Tender lamb chops marinated with fresh ginger, herbs and spices and grilled in the clay oven. Served with saffron basmati rice. Cubes of lamb leg marinated in a special blend of spices and lemon juice, skewered with tomatoes, onion and bell peppers and broiled in the charcoal oven. Served with saffron basmati rice. Cubes of beef marinated in a special blend of spices and lemon juice, skewered with tomatoes, onion and bell peppers and broiled in the charcoal oven. Served with saffron basmati rice. Mildly spiced minced ground lamb skewered and grilled in the clay oven. Served with saffron basmati rice. Mildly spiced minced ground beef skewered and grilled in the clay oven. Served with saffron basmati rice. Jumbo prawns marinated in a hint of mint and sesame seeds, slowly cooked in our clay oven. Served with saffron basmati rice. Jumbo prawns marinated with a hint of garlic, slowly broiled in the clay oven and cooked with pasanda sauce. Served with saffron basmati rice. Fillet of salmon delicately marinated in fresh herbs with roasted fresh tomatoes, onions and bell peppers. Served with saffron basmati rice. 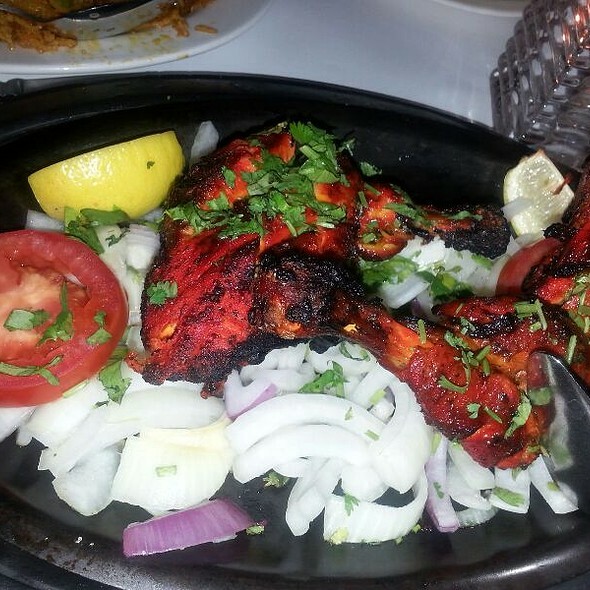 A combination of seekh kabab and boti kabab, chicken tikka and jumbo shrimp cooked in the clay oven. Served with saffron basmati rice. Boneless meat cooked with fresh tomato and onion in a spice flavored sauce. Served with basmati rice. Boneless lean meat cooked with fresh tomatoes, onions, bell peppers in a medium spiced curry sauce. Served with basmati rice. Tender lamb cubes and potatoes cooked in our special hot and spicy sauce. Served with basmati rice. Boneless cubes of meat cooked in fresh spinach, onion, ginger and tomato sauce. Served with saffron basmati rice. A specialty from Kashmir, lean chunks of meat cooked in an almond paste-based curry, spiced with onion, garlic, cardamon and herbs. Served with basmati rice. Boneless meat marinated and cooked in a special yogurt-based mild curry sauce. Served with basmati rice. Boneless meat cooked with cream, almond and sweet spices. Served with basmati rice. The all-time favorite consisting of zesty medium hot meat cubes. Served with basmati rice. Boneless meat marinated and cooked with chana daal, fresh tomato, onion, ginger, green peppers and hot peppers. Medium spiced. Served with basmati rice. Choice of chicken, lamb or beef with a green coriander, green chili, cream, coconut and cashew sauce. Served with basmati rice. Boneless chicken marinated in herbs and spices, grilled over charcoal and cooked in a creamy tomato sauce. Served with basmati rice. Choice of chicken, lamb or beef in a traditional northwestern dish cooked with fresh tomatoes, onion, ginger, garlic, green pepper and herbs and spices. Served with basmati rice. Homemade cheese cubes cooked with onion, bell pepper, tomatoes and cumin seed. Served with basmati rice. An assortment of makhani chicken, lamb roganjosh, beef palak and dal makhani. Served with basmati rice, naan, raita and a dessert of your choice. An assortment of vegetarian dishes including vegetable curry, saag paneer, bengan bhartha and daal makhani. Served with basmati rice, naan, raita and a dessert of your choice. Succulent pieces of chicken breast cooked in the North Indian traditional style. Served with basmati rice. Succulent pieces of chicken breast cooked with tomatoes, onions and green pepper in a medium spiced curry sauce. Served with basmati rice. Spicy and hot chicken with potatoes cooked with fresh tomatoes, onions and herbs. Served with basmati rice. Boneless pieces of chicken breast cooked with fresh spinach, onions, ginger and tomato sauce. Served with basmati rice. The all-time favorite that's medium hot and zesty. Served with basmati rice. Boneless chicken breast cooked with cream, almonds and sweet spices. Served with basmati rice. Shrimp cooked with fresh tomato and onion, prepared in authentic sauce. Served with basmati rice. Shrimp sauteed in fresh onions, tomatoes, green peppers and creamy curry sauce. Served with basmati rice. Shrimp and potatoes cooked in our special hot and spicy vindaloo sauce. Served with basmati rice. Shrimp cooked with fresh spinach, onion, ginger and tomato sauce. Served with basmati rice. Fish cooked in fresh tomato and onion, prepared in an authentic sauce. Served with basmati rice. 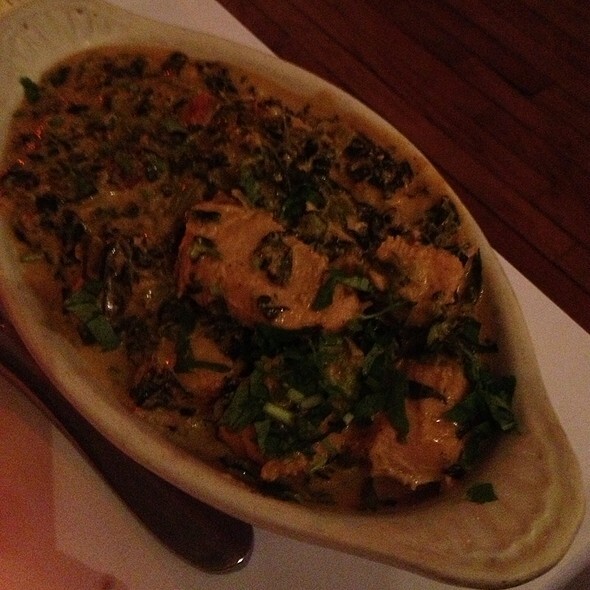 Fish cooked in fresh tomato, mustard seed, coconut, onion, leeks and curry prepared in an authentic sauce. Served with basmati rice. Boneless lamb sauteed in herbs and mild spices, cooked with saffron basmati rice, almonds and raisins. Served with a side of raita. Boneless beef sauteed in herbs and mild spices, cooked with saffron basmati rice, almonds and raisins. Served with a side of raita. Saffron basmati rice sauteed with shrimp, herbs, spices and nuts. Served with a side of raita. A combination of garden fresh vegetables sauteed in herbs and mild spices, cooked with saffron basmati rice, almonds and raisins. Served with a side of raita. A variety of fresh seasonal vegetables sauteed with tomatoes and onion. Served with basmati rice. An assortment of fresh vegetables cooked with creamy almond and cashew sauce. Served with basmati rice. Delicately hand-pulled fresh cauliflower and potatoes sauteed with onions and tomatoes in flavored sauce. Served with basmati rice. Spinach cooked with yellow lentils and delicately spiced. Served with basmati rice. Classic vegetarian dish of roasted and peeled eggplant pureed with fresh onions and tomatoes, seasoned with herbs and spices. Served with basmati rice. Fresh cut baby okra made with northern Indian style dry onions and tomato based sauce. Served with basmati rice. Several varieties of creamed lentils and delicately ground spices. Served with basmati rice. Mixed vegetable ball simmered in tomatoes and cream-based sauce. Served with basmati rice. Cubes of fresh homemade cheese stewed in a creamy tomato gravy. Served with basmati rice. Homemade cheese cubes and green peas cooked with sweet spices. Served with basmati rice. Potatoes and green peas cooked with fresh tomatoes, onions and herbs in a flavorful sauce. Served with basmati rice. Cubes of homemade cheese and spinach cooked with sweet spices. Served with basmati rice. Chickpeas cooked with fresh tomatoes, onions and herbs in a flavorful sauce. Served with basmati rice. Leavened bread baked in flaming charcoal clay oven. Made with enriched white flour. Unleavened wheat flour bread baked in a charcoal clay oven. Multi-layered whole wheat bread. Freshly baked in our clay oven when ordered. Light, fluffy bread. Freshly baked in our clay oven when ordered. Leavened bread stuffed with fresh onion and coriander baked in clay oven. Stuffed with cherry, coconut, almonds and raisins. Freshly baked in our clay oven when ordered. Naan stuffed with homemade cheese. Freshly baked in our clay oven when ordered. 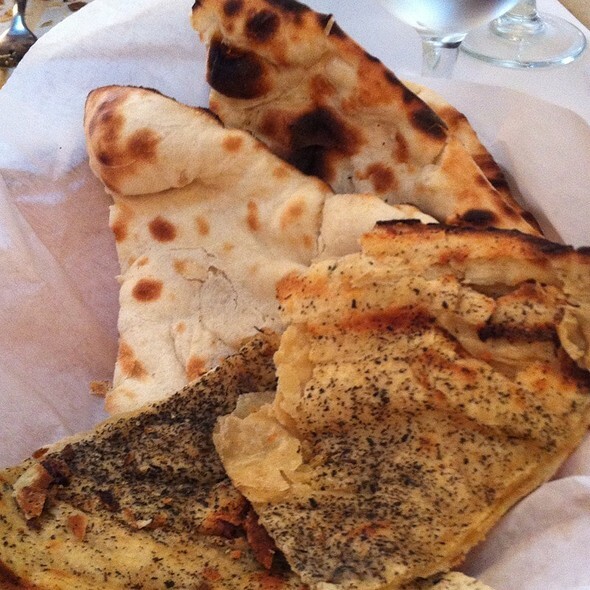 Naan stuffed with your choice of minced potatoes or ground beef. Freshly baked in our clay oven when ordered. A combination of tandoori naan, onion kulcha and lacha paratha. A famous Indian sweet dish made of dry milk, ice and fruits, flavored with cardamon, cinnamon, bay leaf and clove. Deep fried honey ball. Popular Indian delicacy. A traditional Indian ice cream flavored with mango and cardamom. Traditional Indian dessert made of soft cheese patties in a rich creamy milk. It was our first time dining at Taj of India, our group truly enjoyed the food. We were able to sit outside on Saturday evening and watch the sunset, it was a great date night. I strongly recommend you make a reservation, as they were very busy and I was grateful that we had the foresight to make a refreshment. While the food was enjoyable, I had to wait one and a half hours for my food. The people sitting by us arrived 10 minutes after us got served 20 minutes before us. After this occurred we complained and after the manager came over to our table and told us we were wrong and everyone arrived at the same time. The service was awful and I would not recommend. The only problem was that Taj neglected to tell Open Table that I showed up for my reservation. I was able to clear that up with Open Table. Everyone on the staff is always very welcoming. We have been enjoying this food for about 15 years. Not real Indian food. Flavorless, tasteless, not well cooked. I got raw shrimps, be very careful if you are planning to eat there. They do not have flat bottled water. Do not recommend this crappy food. The Buffet was Cold. Three diferente chicken dishes. A Biriyani that tasted very bland. The waitress was not very nice and did not want to serve chai tea after lunch because the kitchen was closed at three pm. We were there since 1:45pm. But was serving lunch to an indian couple after 3:00pm. A bit shocking!! We got the vegetable Samoas which are delicious and then ordered butter chicken and mixed vegetable curry with naan everything was spot on. This is our favorite Indian restaurant! It was a wonderful place to have dinner. The wait staff is very nice, and the food is absolutely delicious. Furthermore, the price is very reasonable especially considering the area. The service and food were great. The Indian beer, Taj, went well with our courses. Excellent food and service. Manager cares about his customers. Highly average food at exorbitant prize. They have no clue how to cook an authentic Indian food. 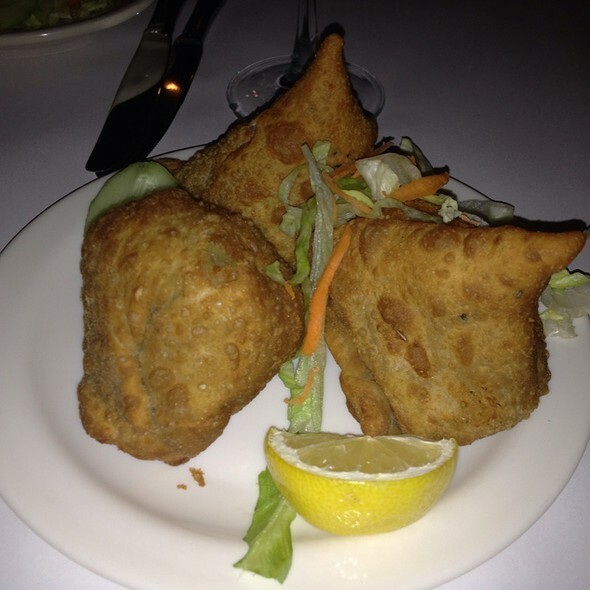 Taj of India is conveniently located in Georgetown and has a pleasant atmosphere. Surprised as to the last minute availability on a Friday night. 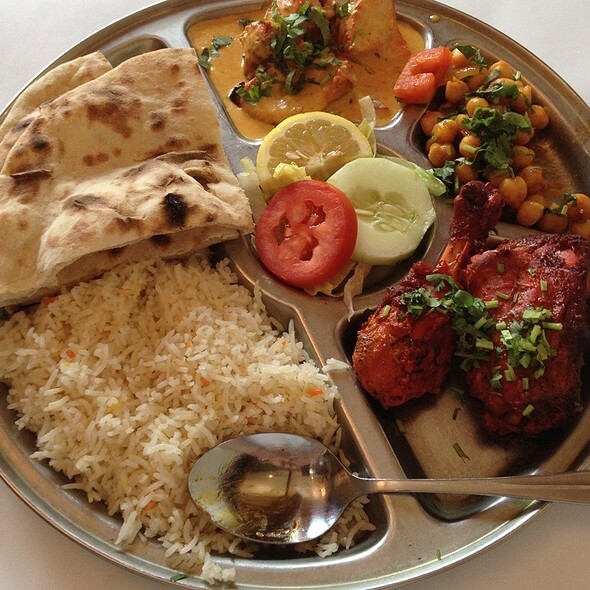 If you’re a fan of Indian food, the menu is quite expansive with seeming lots of good choices. If you have a limited taste for this type of food, you can generally find something to enjoy. The food here was soooo good. It was filing, healthy and tasty. Next time I’m back in DC, I will definitely come here again. Can’t wait to tell my friends & family back home in New York the best go-to for Indian food in DC. Our favorite Indian restaurants were all closed for the holiday so we came here almost under duress and I must say it was very delicious. My husband wolfed down his butter chicken which was very much to his taste. If you like really spicy Indian food this might not be your cup of tea but many times my husband can’t enjoy because his spicy hoy threshold is pretty low. So this was a very welcomed change. 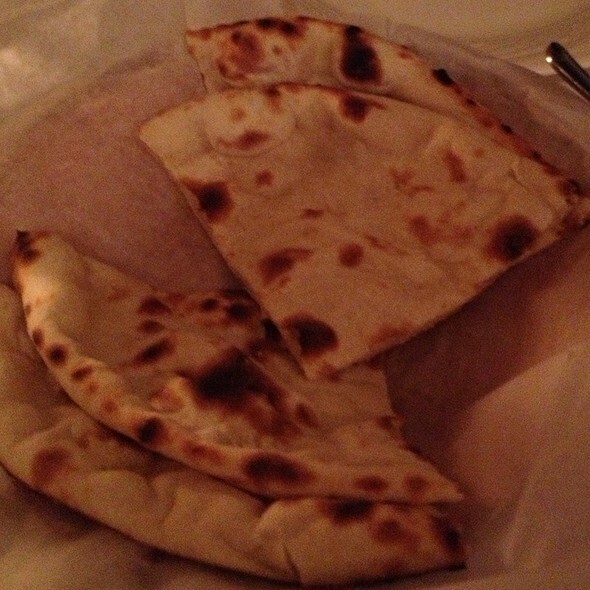 The Naan was perfect, a bit charred in the bottom, which I like but buttery and not too crispy. I actually took my food home and it was even better. Very happy! The pace was packed. My only complain was that I was seated with my head literally behind the bar counter and every time they handled the glasses that were behind me it was very startling. Will definitely come back next time we are in DC. Yummy! Great service and very kind staff. Very reasonably priced and authentic Indian cuisine. Food is great and staff is very attentive but not overbearing! We were very disappointed in this restaurant. The food was bland at best. We love Indian food and were looking forward to a great meal. The only item that was ok was the paratha ??!!! In addition, the bus boy spilled sauces all over the table and my husband and he never returned to help clean up or even offer additional napkins. When we mentioned it to the waiter no one seems to care. Very disappointing overall. Luckily we were just happy to be together as a family. We really don't know how Taj can have such good reviews. We will never go back! Really disappointed in the food and the service. Our table was an afterthought to the staff. The Manhattan was the worst I have ever had and the food was bland at best. The manager threw the check on our table and it fell on the floor, not bothering to pick it up. Expected more, received a lot less. BEST Indian food in DC - Hands Down! Loved the food. Waiter was very helpful. Small well done restaurant. The food is quite good, the service prompt and efficient and the ambiance is conducive to a reasonable conversation. Had dinner at Taj of India before seeing a show at the Kennedy Center. I read online reviews that indicated the restaurant was often crowded on weekends and encourage making a reservation. I assume it was because we had an early dinner (6PM), but the restaurant only had a few other patrons when we ate. No complaints though because this meant that we were served quickly and had plenty of extra time to walk around before our show. 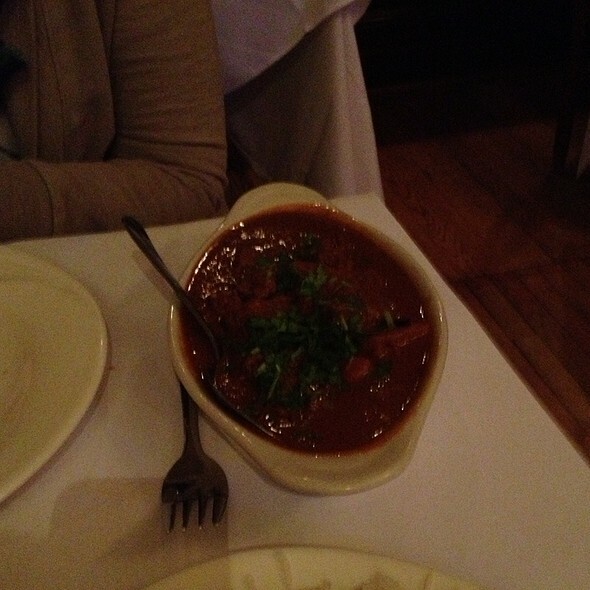 The food was very good - our table ordered Chicken Tikka Masala, Butter Chicken, Lamb Biryani, and Plain Naan. In particular, the lamb in the biryani was quite tender compared to other times I've had this dish elsewhere. The Butter Chicken had good flavor - more tomatoey than other places I've eaten at, but I enjoyed it. We even took home some leftovers and they were delicious for lunch the next day! The Naan was fine, nothing extraordinary, but a good compliment to the meal. The service was attentive (often refilling water glasses and checked in a couple times to make sure we were happy) and quick! Our group of 3 agreed we would all happily come back. Everything was good until I got sick from the food. Spent all Sunday night and Monday morning in the bathroom. Great tastes and nicely varied menu. Quiet atmosphere with attentive, but not intrusive, staff. We probably aren't an average review, we've been to India and really enjoy the bold flavors of all parts of India's cuisine. Taj was a nice little place to go for dinner, it was friendly, good service, and the food was fine. Nothing special, nothing offensive, not expensive. I wish we had been asked about the spice level of the dishes we ordered, everything was bland, not spiced at all. They did bring papadams and some chutneys to start which was nice, I with I had them on the table to spice up my entree. I've been here before but it's been several years. So glad to see that it hasn't changed. The food was amazing and they were great to accommodate our group that expanded. The food here was WONDERFUL. I enjoyed a sampler of three entrees, and it was impossible to decide which was the best, because everything was so good. The service was friendly and efficient, and among the very best I've experienced in 11 years living in DC. Decent Indian food in Georgetown. Small and service is a bit slow. But all in all an enjoyable meal. We are spoiled by having higher end Indian restaurants near us, so this would not be my first choice, but on any given evening you’ll see Indian families eating here, so they must be doing something right! Excellent traditional Indian food in a cool location that’s good for people watching, without being in a loud section of Georgetown. Not too many tables so be sure to come early or come with a reservation because it fills up quickly, especially weekend nights. The selection options were tremendous. There were six of us, 3 ordered vegetarian and 3 ordered meat options. Every meal was delicious, very flavorful and authentic. The service was friendly and attentive. We choose this restaurant due to the number of vegetarian and vegan options in addition to the wonderful meat based dishes. We had dinner at another Indian restaurant just after this one. Taj was hands down superior. We will be going back. We had the pleasure of being seated outside on a comfortable DC summer night. My husband and I shared the appetizer sampler - it did not disappoint. The food was delicious. Our main entrees were selected from the specialties page, and we each ordered the same, a mixture of meats, served with rice, yogurt, and comes with desert. The food was fabulous. Mine was spicy enough to burn my lips (per my request) and his was mild enough to enjoy without making him uncomfortable. The meats were flavorful and moist. The food here is totally worth another visit. The downside was the service. We were there an hour and a half, too long for a meal and an appetizer for two people. Once our entrees were finished we sat for a full 13 minutes before the waiter to returned to offer us our choices for dessert. Unfortunately we had to be some where at 8 and were now going to be late. We missed out on the dessert included with our meal. When we requested the check, it was taken, a few minutes later our waiter was serving champagne to the table next to us, yet hadn't returned our credit card. By the time we were able to sign for our bill it was after 8 leaving us to run down M street as to reduce how late we now were. Great food, super slow service. The service at Taj of India was excellent--very attentive. While the butter chicken was delicious and tender, the lamb vindaloo was not spicy, and we were looking forward to a very spicy vindaloo. The food was fresh tasting but the order got messed up. The appetizer never came and so we had to reorder when the main courses arrived. They weren’t overly busy and our server (3 different people) kept changing so this was a bit of the issue. 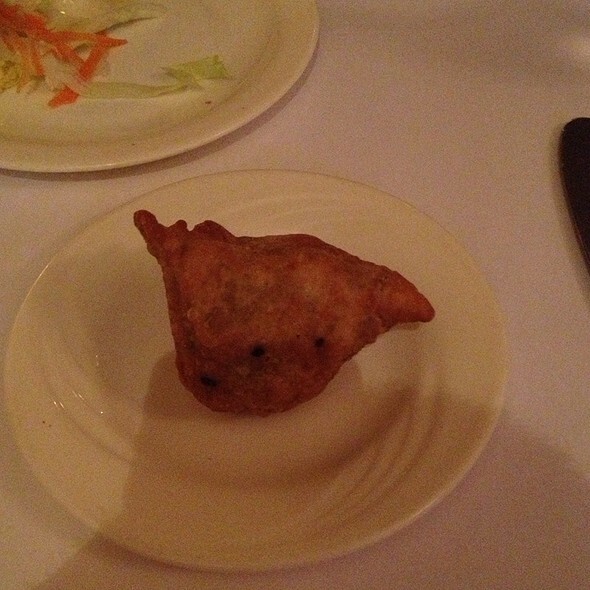 Overall the food and service was adequate but the portions were a bit smaller than most Indian restaurants. The wine we ordered also was sour and should have been discarded but we had bought the bottle and didn’t want to make a fuss. I’d come back I wouldn’t order wine, and I’d come for lunch because the portion is lunch size.